This Pinup Photo was added on Friday 13 July, 2018. Thumbnail above is Watermarked. 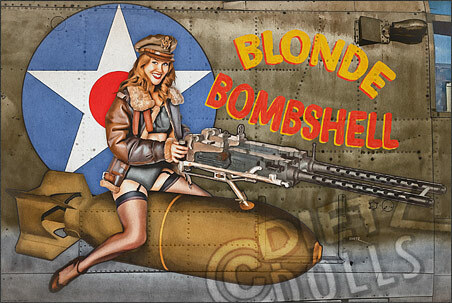 Featuring Shalyah in this North American B-25 Mitchell Nose Art airbrushed style pinup titled 'Blonde Bombshell'. 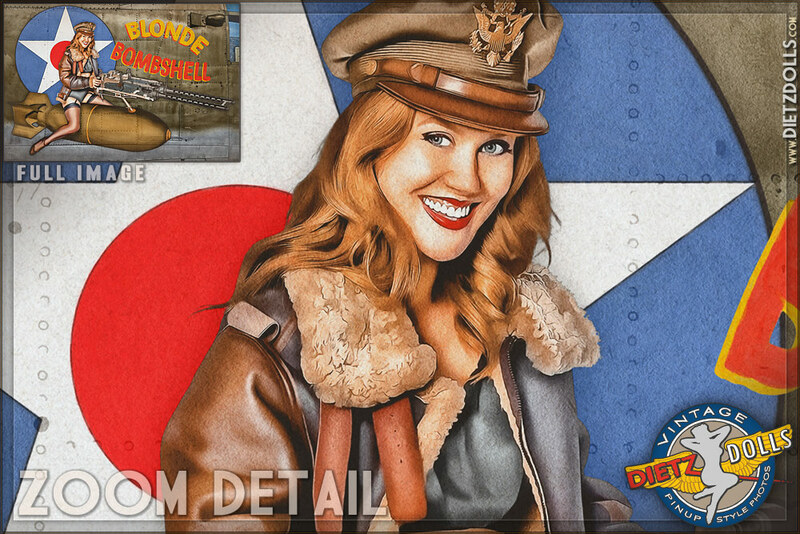 It's hard to think of World War 2 aircraft without envisioning the classic pinup Nose Art of the time. Pilots and crew would adorn the nose, engines, and sometimes even the waist or tail of their aircraft with rather colorful artwork giving the aircraft not only a name but a personality. Accompanying catchy slogans, ironic phrases, or names of loved ones back home the Nose Art was often completed with a pinup girl.